O-neck, short sleeve, pull on closure. 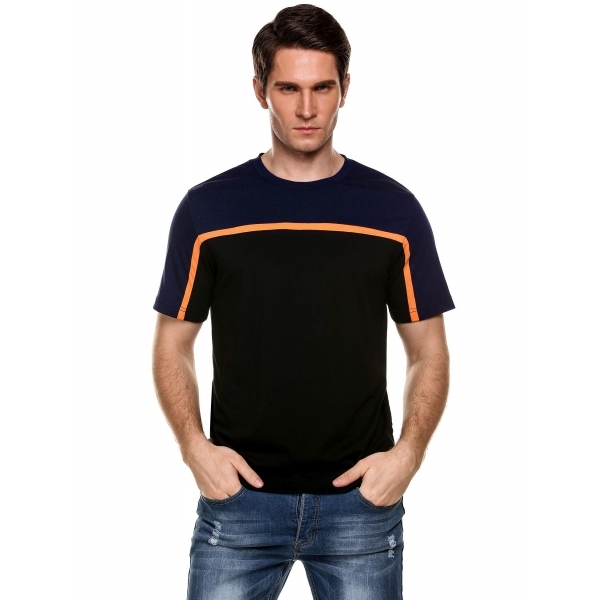 Casual t-shirt, contrast color patchwork. Garment Care: Hand-wash max 40℃, Normal Dry Clean. Comfortable to wear, original fit.